Gianfranco Fini, former leader of the Alleanza Nazionale (National Alliance), the post-Fascist political party in Italy, was born on this day in 1952 in Bologna. 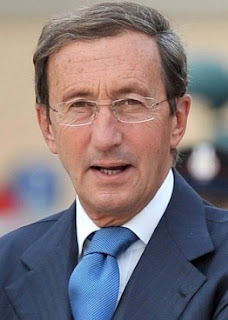 Fini has been President of the Italian Chamber of Deputies and was Deputy Prime Minister and Minister of Foreign Affairs in Silvio Berlusconi’s Government from 2001 to 2006. 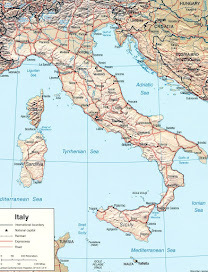 His father, Argenio ‘Sergio’ Fini, was a volunteer with the Italian Social Republic, a fascist state in Northern Italy allied with Germany between 1943 and 1945. His maternal grandfather, Antonio Marani, took part in the march on Rome, which signalled the beginning of Italian Fascism in 1922. 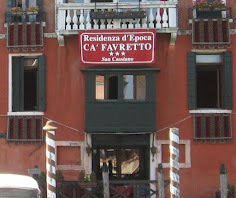 Fini’s first name, Gianfranco, was chosen in memory of his cousin, who was killed at the age of 20 by partisans after the liberation of northern Italy on 25 April, 1945. Fini became interested in politics at the age of 16, after he was involved in a clash with communist activists and he went on to join the Italian Social Movement (MSI), a neo-fascist political party. 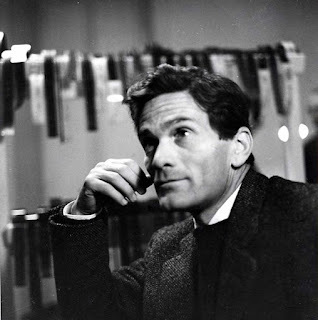 After graduating from La Sapienza University in Rome he became involved with the party’s newspaper, Il Secolo d’Italia. He became MSI party secretary in 1988 and confirmed the MSI’s role as inheritors of Benito Mussolini’s Fascist legacy. In 1993 Fini ran for Mayor of Rome, and although Francesco Rutelli won, it was the first time an MSI candidate had received significant support in a major election. In the 1990s, Fini began to move MSI away from its neo-fascist ideology to a more conservative political agenda. In 1995 the MSI merged with the conservative elements of the disbanded Christian Democrats to form the Alleanza Nazionale. Fini became president of the new party, which distanced itself from fascism. 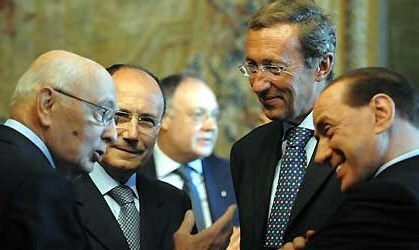 Fini and his party were part of Berlusconi’s right wing coalition, which won the 1994 and 2001 parliamentary elections. Fini became Deputy Prime Minister in 2001 and Foreign Minister in 2004. He agreed with Berlusconi that they would present their two parties under the same symbol, the People of Freedom, in the 2008 election. 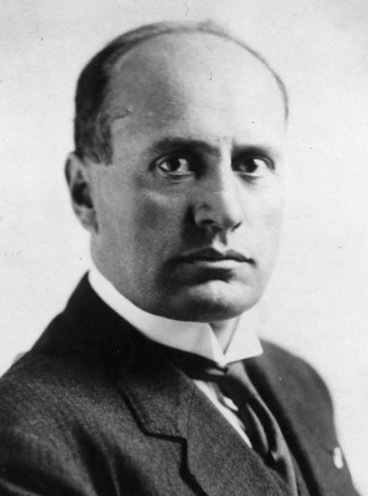 By then, Fini's attitude towards Mussolini's Fascism had shifted so markedly that, having described the former dictator in 1994 as "the greatest Italian statesman of the 20th century", on a visit to Israel in 2003 he told an audience that Mussolini's time in power had been "a shameful chapter in the history of our people." After he and Berlusconi were victorious he was elected President (Speaker) of the Chamber of Deputies. In the 2013 election, his party, now named Future and Freedom for Italy, were awarded no seats, ending Fini’s 30-year parliamentary career. He has since been criticised by right wing politicians for moving away from traditional policies. Fini married Daniela di Sotto in 1988 and they had a daughter, Giuliana. After the couple separated in 2007, he met Elisabetta Tulliani, a lawyer, with whom he has since had another two daughters. 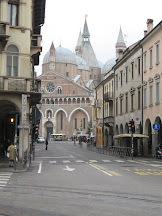 Bologna, where Gianfranco Fini was born, is the largest city and the capital of the Emilia-Romagna region of Italy. 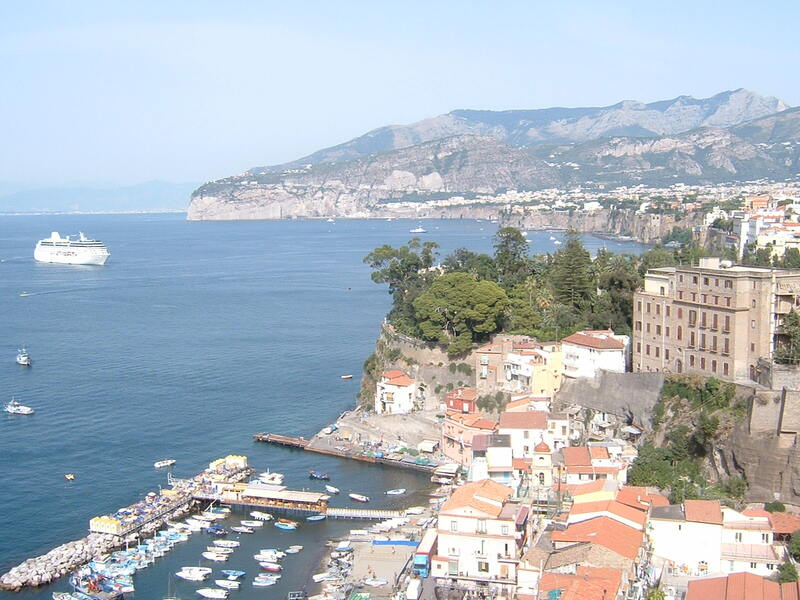 It is famous for having the oldest University in the world, established in 1088, and a rich cuisine, which has earned the city the nickname of ‘la grassa’. 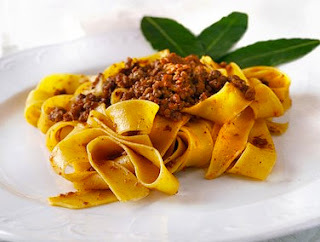 Its most famous dish is tagliatelle al ragù, strips of pasta with a rich meat sauce, which has been adopted the world over as spaghetti alla bolognese. Gianfranco Fini graduated from Rome University, often known simply as La Sapienza, which means ‘the wisdom’. 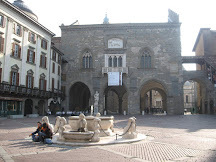 It can trace its origins back to 1303, when it was opened by Pope Boniface VIII as the first pontifical university. In the 19th century the University broadened its outlook and a new campus was built near the Termini railway station in 1935. Rome University now caters for more than 112,000 students.